Samsung Electronics Co., Ltd, a global leader in advanced semiconductor solutions, today announced its fifth generation of green memory at the Memory Solutions Forum 2013 at the Shilla hotel in Seoul. Under a "New Memory Paradigm" theme, Samsung introduced advanced memory solutions optimized especially for next generation data centers that use cloud computing based on a big data platform. This type of infrastructure is rapidly increasing in support of the mobile computing industry. The newly presented fifth generation green memory solutions will help to resolve key data center issues by achieving dramatic performance improvements, securing additional physical space for systems, and saving large amounts of power. In his keynote, Young-Hyun Jun, executive vice president of memory sales and marketing, Samsung Electronics, noted, "With the introduction of these innovative memory solutions that maximize IT investment efficiency, we have set the stage for sharply strengthening the value of advanced memory." "We will continue to benefit society with the introduction of green IT technology in cooperation with our global partners to lead the global IT industry in creating greater shared value for customers," he added. The Green DDR4 solution achieves a server data transfer speed of 2,133 megabits per second (Mb/s), a leap over DDR3's performance limit of 1,866 Mb/s. This enables a 15 percent performance boost and consumes 24 percent less energy. It also provides a greater amount of error correction in further improving system reliability. Samsung is planning on expanding the high-speed DDR4 DRAM market even more in the future with additional next-generation products and will be able to eventually offer DDR4 with a data transfer speed of 3,200 Mb/s, 1.5 times faster than today's DDR4 enterprise products. Samsung's new green PCIe SSD solution offers a data transfer speed of four gigabytes per second (GB/s), which is six times faster than 600 MB/s SATA SSD's, while reducing the delay in data transfer by 67 percent. These performance upgrades further maximize IT return on investment by increasing the level of energy efficiency approximately 2.6 times. Samsung plans to introduce other next-generation PCIe SSDs, based on its new 3D V-NAND technology and a new proprietary NAND controller, at a later date, in further expanding the premium SSD market. A combination of Samsung's DDR4 and PCIe SSD green memory solutions will enhance the performance of server systems approximately 1.6 times and quadruple system capacity by eliminating unnecessary data duplication in the enterprise storage systems. As a result, the combined solution can achieve the highest level of efficiency among widely used green IT solutions and overcome difficult prerequisites for new server systems involving budget, power consumption and space optimization. If all server systems adopted Samsung's fifth generation green memory solutions, an anticipated power savings of 45 terawatts per hour could be achieved. This translates into six billion people saving the power needed for everyday smartphone use for two years, which is equivalent to planting 800 million 10-year-old trees. Samsung will also hold a Memory Solutions Forum in the U.S. on Tuesday afternoon, October 22 at the Computer History Museum in Mountain View, CA with an expected attendance of nearly 300 IT executives. Highlighting the U.S. Forum, will be keynote presentations by former U.S. Secretary of Energy, Dr. Steven Chu, discussing "Energy Use in Information Technologies"; Wim Elfrink, executive vice president of Industry Solutions and Chief Globalization Officer for Cisco, presenting "The Internet of Everything - The Next Disruption"; and Guy Kawasaki, bestselling author, speaking on "Enchantment: The Art of Changing Hearts, Minds, and Actions." In addition, the latest IT technology trends will be discussed, by several speakers, including those serving on a panel entitled, "A New Era for Data Center Architecture." A complete schedule and other information for the U.S. forum is available online at http://www.samsung.com/us/business/oem-solutions/events/cio-forum2013/agenda.html. Samsung will continue its "3S" innovation strategy - involving systems, solutions and software, along with creating shared value (CSV) for itself and its customers, while developing more highly efficient green memory solutions that improve IT investments. It also will keep expanding its next-generation DDR4 DRAM and PCIe 3.0-based SSD product line-ups, and work on reinforcing its leadership in the premium memory market. 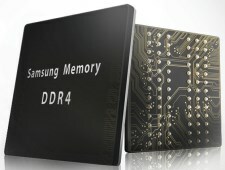 For more information about Samsung Green Memory, visit http://www.samsung.com/GreenMemory.